If spring is all about favouring new beginnings, then here’s a smart, green, flavourful touch to it. Revamping a classically Italian tiramisu by giving it a Japanese edge? That’s what Aki, the Japanese pastry chef, ventured in his bakery on 16, Rue Sainte Anne (a street worth exploring for its Japanese eateries and markets dealing in outlandish foods, such as wasabi-scented sesame, rice curry crackers, pickled ginger and sugar-coated fish, to name but a few). A look at Aki’s counter will tell you that this corner bakery does have a thing for matcha (fine powder high quality green tea). 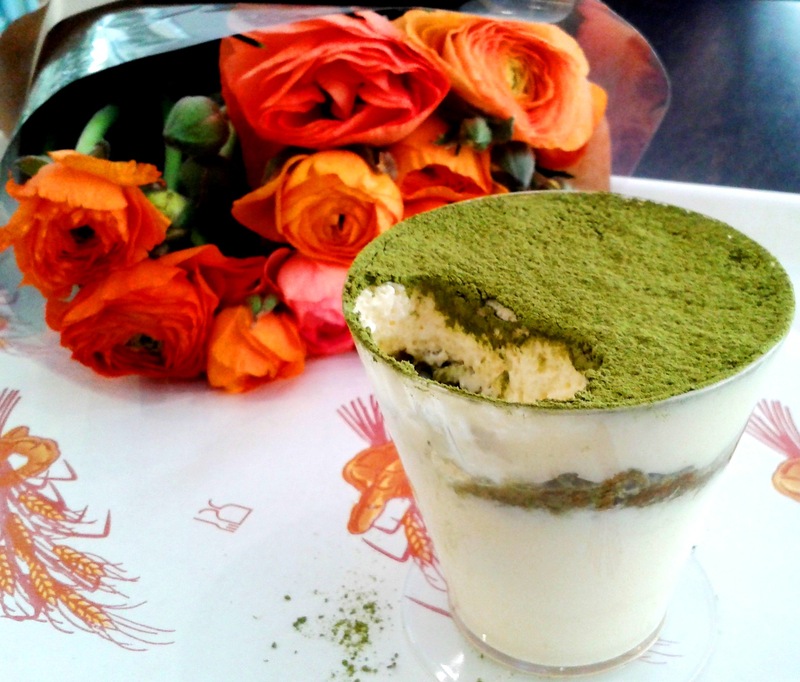 Besides the redefined tiramisu, you will find some matcha éclairs or the surprisingly pretty matcha marble cake. So if you have a liking for all things green, why not give it a shot? Plus, what better way to celebrate the arrival of spring in Paris?